In Episode 52, Paula Digby answers questions about acute MI in a transplanted heart and whether the elapsed time between transplant and MI have implications for coding and IRF concerns regarding IGC selection and diagnoses that are documented during the last two days of the stay. Congratulations to today’s winner, Ron in Arizona! 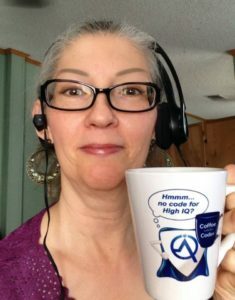 This “mug shot” is Pam, our moderator.